ATLANTA: Singaporean company Horizon Unmanned Systems (HUS) unveils HYCOPTER, the world’s first hydrogen fuel cell powered multi-rotor UAV. HYCOPTER is being readied for a record flight endurance of 4 hours, or around 8 to 10 times the average flight duration of equivalent systems today. 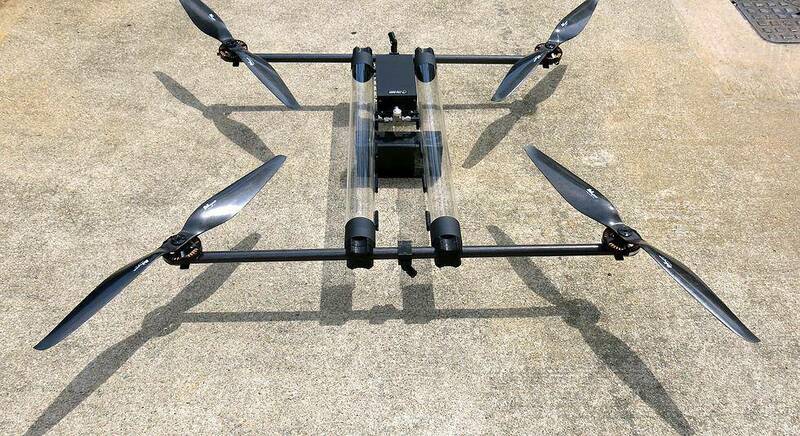 Unlike any other rotorcraft, HYCOPTER makes use of its frame structure to store energy in the form of hydrogen instead of air, eliminating energy storage weight. With less lift power required, HYCOPTER’s ultra-light fuel cell turns the hydrogen in its frame into electricity to power its rotors. With HUS’ breakthrough technology, today’s 20-30 minute multi-rotor missions shift to a new paradigm with flights lasting several hours at a time. Aerial survey jobs will become materially cheaper/faster and drone delivery over longer distances, more feasible. HYCOPTER’s special fuel cell was designed by sister company Horizon Energy Systems (HES), which recently announced a new 700Wh/kg solid hydrogen storage system. 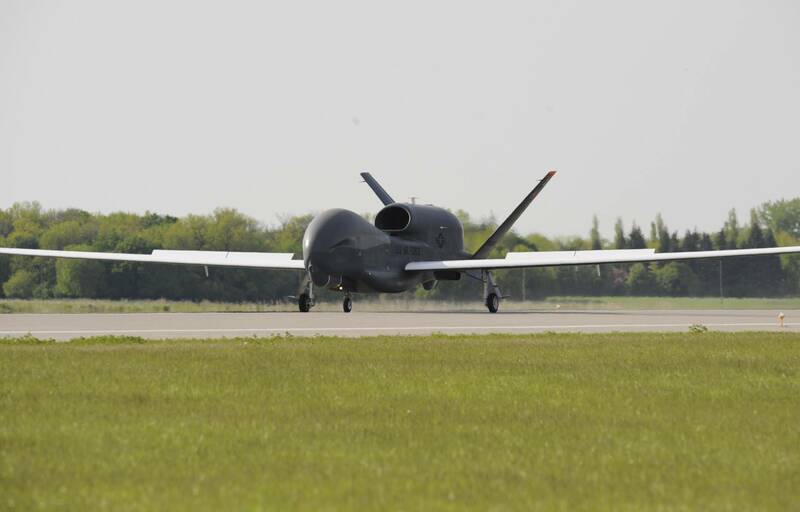 Newly formed Horizon Unmanned Systems brings together years of knowledge in energy storage optimization, composites, as well as a new breed of autonomous navigation technologies, to show the way forward on innovation in mini-electric UAVs. 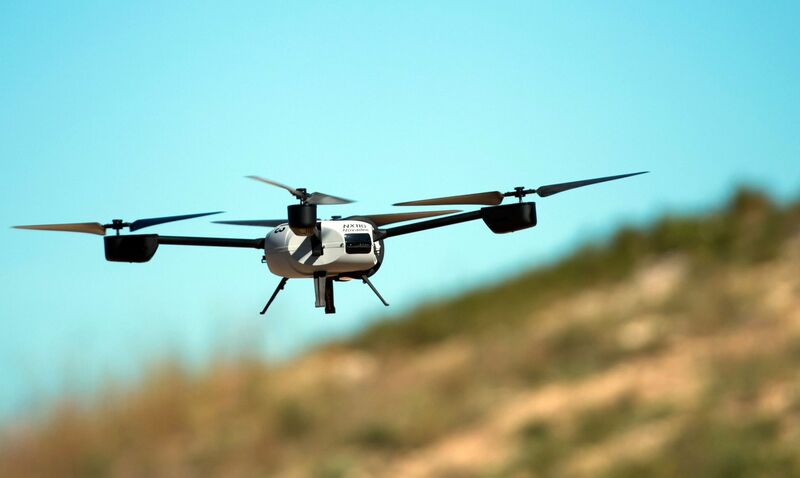 HYCOPTER will be on display starting today at booth 401 at the May 4-7 AUVSI trade show in Atlanta.